Toys"R"Us today announced the launch of its 10th annual nationwide fundraising campaign to benefit the Marine Toys for Tots Foundation. Now through Sunday, December 8, consumers can spread holiday cheer to some of the 16 million children living in poverty in the United States by donating new, unwrapped toys in Toys"R"Us and Babies"R"Us stores nationwide and online at Toysrus.com/ToysforTots. Monetary donations will also be collected through Christmas Eve. NBA Legend, actor, philanthropist and entrepreneur Shaquille O'Neal once again joins the company’s campaign, donning his holiday alter ego – Shaq-A-Claus – to encourage customer donations and help make even more wishes come true for kids in need. As part of this year’s program, Toys"R"Us is introducing a series of #NoWishTooBig initiatives designed to inspire families to join Shaq-A-Claus in paying it forward through Toys for Tots. It was nearly two decades ago that Shaquille began shopping at his local Toys"R"Us store in Orlando, FL for presents to distribute to local underprivileged children on Christmas morning. Since then, he has transformed into Shaq-A-Claus, making it his personal mission to give back and make wishes come true for children in need across the country, all holiday season long. “When I was a kid, someone made my Christmas wish come true by giving me an amazing, unexpected gift – my very own Dr. J autographed basketball. Ever since that moment, I have been inspired to pay it forward and give back to kids less fortunate,” said Shaquille O’Neal. “This year, I am looking to the experts – kids! – to help me spread holiday cheer to children in need by submitting toy recommendations to be added to The Great Big Shaq-A-Claus Wish List. Together with Toys”R"Us, we can make a whole lot of wishes come true this Christmas!" During this year’s campaign, there are many ways parents and kids can join Toys"R"Us in making wishes come true just in time for Christmas, and there is #NoWishTooBig for Shaq-A-Claus. Parents can view The Great Big Shaq-A-Claus Wish List, a list of toy suggestions, including crafts, playsets, electronics, plush and more, to donate to a child who might otherwise go without a gift to open on Christmas morning. From the company’s dedicated Toys for Tots online destination at Toysrus.com/ToysforTots, customers can view the list and buy toys online that will be shipped directly to Toys for Tots. In addition, the Great Big Shaq-A-Claus Wish List can also be printed in-store at designated Wish List kiosks or at the Customer Service Desk, allowing shoppers to reference the list as they search for a toy to donate. Shaq-A-Claus is also asking kids to share their suggestions of toys to add to The Great Big Shaq-A-Claus Wish List. Children can help fulfill the Christmas wishes of little ones in need by visiting Toysrus.com/ToysforTots, where they’ll find a downloadable, print-out activity sheet, on which they are encouraged to draw a picture of their favorite toy and share it on Facebook, Twitter or Instagram using the hashtag #NoWishTooBig. For every child’s toy suggestion that is made and shared using the dedicated hashtag, Toys"R"Us will donate a toy to the Marine Toys for Tots Foundation, up to $1 million worth of toys. Participants are also encouraged to share these drawings on the Toys"R"Us Facebook page at Facebook.com/Toyrus. Taking inspiration from the many give-back stories of generous citizens who anonymously paid off another’s layaway order, for a second year, the company has pledged to Wish It Forward. For each layaway balance a customer pays off for a neighbor as an act of kindness, Toys"R"Us will donate $200 worth of toys – the approximate average value of a layaway order created at Toys"R"Us – to Toys for Tots, up to $1 million worth of toys. In addition, the company will provide ongoing updates of Toys"R"Us locations across the country where layaways have been paid off through goodwill gestures with the Shaq-A-Claus Wish Come True Tracker map. Fans of Toys"R"Us can follow the success of this initiative throughout the season on the company’s Facebook page. In addition to updates on the company’s #NoWishTooBig and Wish It Forward programs, throughout the nine-week campaign, fans of the Toys"R"Us Facebook page, as well as Twitter and Instagram followers, will enjoy exclusive content, including messages from Shaq-A-Claus, videos, fundraising updates and more. 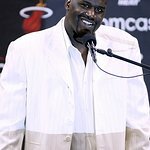 To encourage his own followers to join him in giving back this holiday season, Shaq-A-Claus will tweet, blog and post on Facebook at Facebook.com/ShaqVerified. Pinterest users can also follow Toys"R"Us at Pinterest.com/Toysrus, where the company will showcase a dedicated Toys for Tots Pinboard featuring submissions to the #NoWishTooBig social media effort, as well as toys from The Great Big Shaq-A-Claus Wish List. “The support Toys”R"Us has given Toys for Tots over the past decade has been vital in ensuring that hundreds of thousands of kids across the country have experienced the joy of having a present to open on Christmas morning," said LtGen Pete Osman, USMC (Ret), President and CEO, Marine Toys for Tots Foundation. “We are thrilled to continue this incredible partnership and urge Toys”R"Us and Babies"R"Us customers to help us deliver more toys than ever before to those children who need them most." Throughout the campaign, Toys"R"Us and Babies"R"Us stores nationwide will be decked with festive signage featuring Shaq-A-Claus in his signature Santa hat. Additionally, Shaquille will make surprise visits to Toys"R"Us stores throughout the Christmas season to shop for toys to donate to Toys for Tots, showing there really is #NoWishTooBig for Shaq-A-Claus. As the largest retail partner in the history of the Marine Toys for Tots Foundation, Toys"R"Us has raised over $31.6 million and collected more than 3.75 million toys since the partnership began in 2004. To start up this year’s campaign, the Toys"R"Us Children’s Fund, a public charity affiliated with Toys"R"Us, Inc., has provided a $250,000 grant to the Marine Toys for Tots Foundation. The Shaq-A-Claus #NoWishTooBig program is also supported by the Toys"R"Us Children’s Fund.